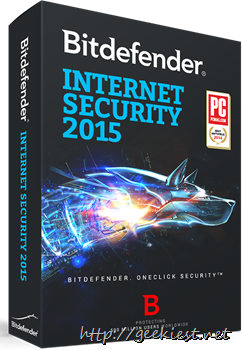 Bitdefender Internet security 2015 is $59.95 for 1 computer with one year validity. 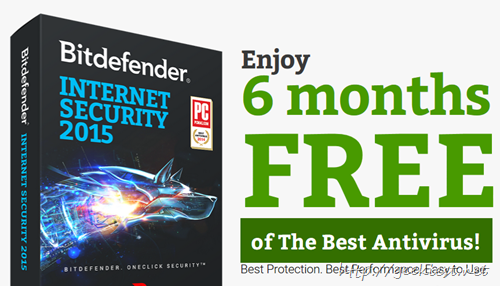 Now you can get a full version license of the product valid for 6 months for Free. The product is easy to use and while protecting your computer it can optimize the PC to work better and faster too. PRODUCT OF THE YEAR. PC MAG Editor's Choice - 3 Years in a Row. While installing you can enter the key you received to get the 6 months validity. Note:- Please keep in mind that your key will be invalidated in 5 days if you do not use it to activate your product in that time.